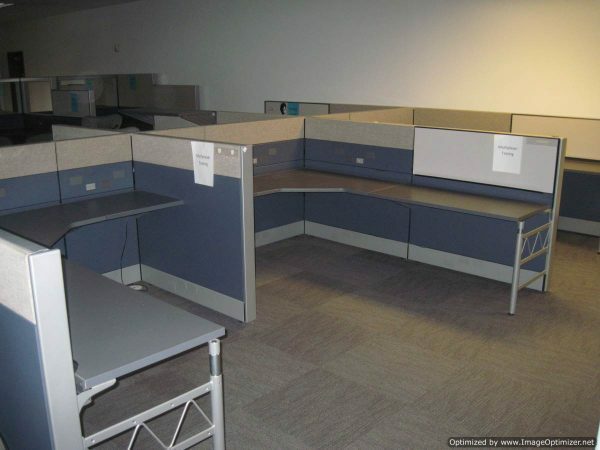 Herman Miller Ethospace 6×8 cubicles with 70″ high panels with power down the center spine. Stations were originally set-up in ten 6-packs so all of the center panel runs were shared. Panels heights are 38″, 54″ and 70″, the panels widths are 2′ and 4′. Two full pedestals: both BBF and FF. 4′ corner with a 2′ and 4′ return worksurface. Each stations has a white board tile.